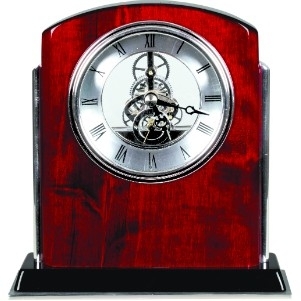 6 1/2" Rosewood/Silver Piano Finish Arch Clock with Base and Trim. Personalized with your logo and vector art or text. Metallic laser engraved plate attached to front under clock face. A Beautiful gift to display anywhere!